Apple Inc. excels in developing electronic devices that comes with innovative design and multiple features such as iCloud, high storage capacity, iTune, etc. MacBook is one of the popular products that has been manufactured by Apple. It has a strong hardware and easy to use features. However, if your MacBook starts malfunctioning, you might get into serious trouble and your productivity might get hampered. Although these laptops are durable and easy to use, you might face difficulty if the device is used in a wrong way. You might end up with a broken/ cracked laptop screen due to dropping or hitting the laptop, closing the laptop lid too hard, spilling water or coffee, hardware malfunction, closing the laptop lid without noticing the object on the keyboard, etc. For some critical issue, you need to connect with an expert to fix it properly. However, you can follow some simple steps and get it resolved at home. Continue reading the article to find out 3 simple steps to a MacBook screen repair. 2. Once you have separated the screen from the laptop body, check for a black plastic sleeve that covers the hinge. Slide it to the right to loosen it. This process will unlock it, and you will be able to see the hinge screws. On the other side of the hinge, there is an identical pair of Torx screws that also require tightening. 3. Replace the black sleeve by taking it back into the place. Sliding the black sleeve left to it. Now you can replace the screen laptop. With these three steps, you will be able to fix an unsteady screen of your MacBook. It is easy to fix some minor issues with the help of available guides on the web. For complex issues like broken screen or broken LCD, contact the professionals of UAE Technician. If you find trouble with your laptop even after implementing these steps, get in touch with our technical experts. Want to increase the search engine traffic the best way by showing post title first before the blog title.There are many blogs take birth every day but the new blogger don’t know the setting to show the post title first on the search engine before blog title. To increase the new blog page views you to make this change by visiting the template setting, to know the full procedure of showing post first.I suggest doing this setting as audience will click on the unique post title from search engine.If you do not use post title first then your all blog post will look like similar as blog title remain same for all the article. To get better search ranking in Google alter the changes as this will increase the Alexa rank also.Most of new blogger are writing quality psot but fail to get traffic as they do not know seo tips and tricks. Are you thinking of becoming a good blogger?It takes a lot of hard works and time to be a successful blogger. So you should have the aim to the success. It’s true that a good blogger can make his living by blogging. But for this you should have to work hard. In this post I am going to share some tips for beginner who going to choose blogging as a career. Blog about the topic that you like.All blogger blogs about there favorite topic.Like some blogs about technology,food, and education etc.So at first you should choose the topic you know best. 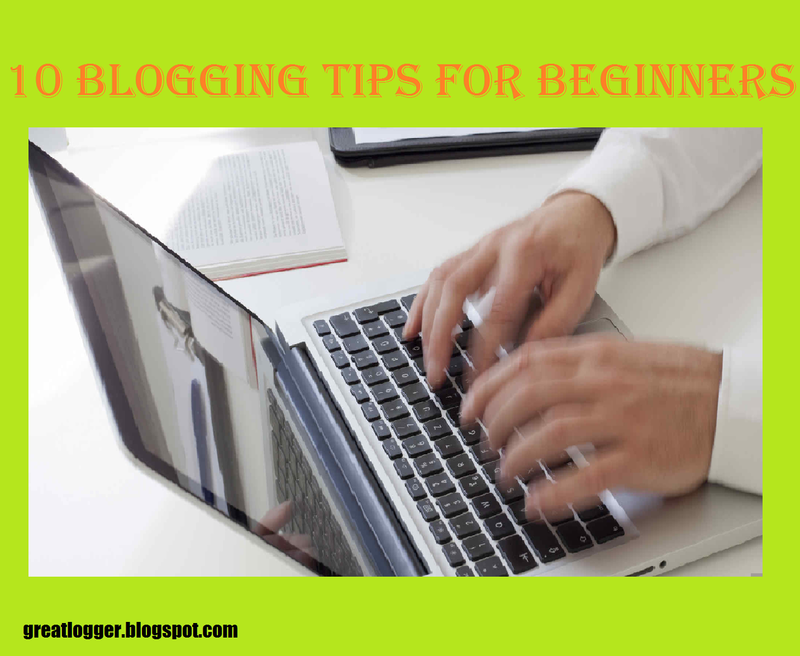 Blogging is all about writing.As a good blogger he/she should have skills at writing.Blogging as a career, is all about writing.So you must have good skills at writing.Write in simple way.By writing simple way will make your visitors to feel comfortable to understand your blog. Writing blog is really difficult for beginners.Think about the subject that you want to write.If you feel hard to write blog then you must practice writing your own.By reading many blogs will help you to improve thinking and writing skills.Write from your own to be creative and active blogger. Your blog template is very important for your SEO.As a good blogger you should set a nice theme for your blog.By using an attractive theme will attract your visitors.You should set an professional theme for your blog for more visitors. You must always try to reply to your visitors comment.By replying to their comments will make them attract to your blog and they will may visit again and again. Now a days people loves good content that makes them entertain.Such as photos and videos.Entertaining is great source of getting visitors stay updated with your blog.So for more impressions you should upload good content behind valuable writing. We all know that most of the internet users has accounts on social media.Such as on Facebook,Twitter and Google Plus and twitter.People mostly use Facebook and Twitter.So I would like to say, marketing your blog on social media is a perfect way to increase traffic of your blog. Title of the posts should be SEO friendly.Important keywords should be used in the titile.So that visitors can easily enter in your blog from search engines. Add an about me page or a gadget to your blog.By writing about yourself will make them friendly to your blog.There you may write about your experience. If you make good relation with other well experienced blogger you can get help from them.A well experienced blogger can help you in many ways.So it is better to get connected with a well experienced blogger. Positioning in web crawlers, (for example, Google and Bing) is one of the essential wellspring of movement for most sites and websites. When you show up in the top for an inquiry watchword, your site gets free, natural hunt movement. In the event that you rank #1, you can hope to get around half of the aggregate hunt volume to your blog. How to rank your blog for catchphrases in web crawlers? Web crawlers rely on upon calculations and pursuit bots to file and break down sites. Your site's positioning in list items relies on upon different components, for example, content quality, online networking notices and backlinks from different sites to your blog. Backlinks, or notices to your blog and articles with a connection to the site article, is the most critical influencer for inquiry rankings. More backlinks to your site and log posts implies better shot of positioning higher in list items. Obviously, it is by all account not the only component, however an essential one in any case. Use tools like Ahrefs Alternative for link building. Before building common backlinks as prescribed by Google, ensure that your blog site has quality substance that your potential perusers will discover valuable. Distribute no less than 10 brilliant articles before daring to off-page SEO of building backlinks. Guarantee that your articles are extensive (300 words or more) and incorporate media, for example, pictures and recordings (transfer to YouTube and implant in your blog). Distribute 2-5 posts on the main day of blogging. Include no less than one post each consequent day. Continue including content routinely for at any rate next 5 days. Continuously continue adding new presents on your blog. It not just makes your perusers return all the more frequently, web indexes additionally lean toward sites that are new and overhauled routinely. Try not to trust me? On the off chance that you have any old site, check its rankings for a pursuit watchword. Include content routinely for a week and afterward recheck the pursuit rankings. In most likelihood, your site will rank higher. If you don't mind get an excellent participation to achieve the full article. Remark on different sites: One of the most straightforward and snappiest strategy is to visit kindred bloggers' sites and leave valuable remarks. It will help you draw in with kindred bloggers in a similar specialty, produce some movement with individuals who tap on your name with your blog interface and make backlinks to your site. The greater part of the circumstances the connections will be nofollow, or being set apart as not to e seen as supports via web crawlers. Try not to stress. Such connections additionally matter. Offer visitor posts: If you have some great substance to offer for any blog in your specialty, drop a considerate email to the blogger expressing the title and portrayal of your article or formula. Discuss how you found their blog and what you like in it. Try not to depend on fake gestures of recognition and bootlicking. It just aggravates the beneficiary of the mail. Be straightforward and attempt to participate in a genuine discussion. In the event that your visitor post offer is acknowledged, make it an indicate include your site name with connection in the creator account. You can likewise drop in a connection to any related formula on your blog inside the substance in the event that it doesn't break the normal stream. Join formula blog systems: Make beyond any doubt to join nourishment blog systems, for example, Yummly, Foodista.com, Nibbledish, FoodBloggers.net. Join informal communities with your blog: Create a Facebook page for your blog. Include a Twitter represent your nourishment blog. Get your sustenance blog on Pinterest and Instagram. Make a point to be dynamic on these online networking gatherings. Join related gatherings: You can join discussions for sustenance online journals, formulas and nourishment. Be dynamic with accommodating commitments and take an interest in the examinations on these discussions. Remember to add a backlink to your site in the discussion mark and profile. It will get both activity and SEO advantage. Distribute public statements: Yes, converse with the press. On the off chance that you have something newsy to offer, connect with nearby media with an all around drafted official statement. Bear in mind to incorporate your blog presentation with a backlink in the official statement. You can distribute your public statement on online official statement accommodation sites. Submit Slides and Presentations: Many archive sharing sites, for example, Slideshare need you to submit reports and presentations on their sites. You can utilize your current substance and make a presentation with slides. Eg: change over a formula into a presentation, Word document or PDF record. Distribute it on these destinations. As usual, make a point to add connections to your site and articles inside the substance and additionally in the depiction and profile page. Make Videos: If you can make a little video for formulas, transfer them to video sharing destinations, for example, YouTue, Vimeo and DailyMotion. Ensure that your video incorporates your blog name and URL. You can include the same in the video screen or talk it out on camera toward the begin and end of the video. Include your blog URL in your profile. Give away profitable something: If you can stand to offer a freebie, do that. Offer a blessing (physical or advanced item) for a genuine audit of your blog. Ask a kindred blogger or gathering in your specialty to have a giveaway supported by your blog. Produce some substance or infographic with truly intriguing data and let different bloggers distribute it with due credit and backlink to your blog. Add connections to your own particular substance: Don't neglect to connection to other blog entries all alone blog while making new substance. Such inward connecting inside the blog content enhances your SEO furthermore permits perusers to find new substance. 6 Must Read SEO Blogs 2018 | Are you looking for top SEOblogs and websites to get right SEO tricks to boost up your website traffics and rankings through reading these top SEO blogs tutorial? You Know, technology have been continually changing for last few years so reading Top SEO blogs is one of the best ways to remain advanced on the latest SEO strategies and best tips for increasing visitors. So, here are some of the best SEO blogs to read and even I also read these SEO blogs tutorial on a regular base to boost my website’s Google ranking, increasing traffics and creating valuable backlinks with suitable tips and tricks. Google is acknowledged head of search engines; provide best SEO tips for increasing visitors and traffics. The authorized Google Search blog is an apparent resource to remain up to date as you should follow it to know the trends around Google Search. We strongly recommend it as you should be reading to look forward to upcoming trends in Google Search and grip changes of SEO blogs with best tips for increasing visitors and site traffics. Moz tool is one of the most trusted tools to make SEO easy for your website or blog. It is a absolute SEO blogs for beginners or for other advanced level users, here you will discover some of the top SEO resources in Moz that will give you best tips for increasing visitors, boost for Google ranking and suggest you quality backlinks as well as get better your SEO skills. If you are looking for most recent and latest SEO news or tricks, then don’t forget to follow Search Engine Journal as it is one of the most successful SEO blogs brings best SEO tips and tricks with detail. Search Engine Journal also frequently publish sophisticated SEO materials that lead you to get better your Google search rankings and backlinks. This SEO blog is recognized for its detail content of everything from search marketing news, guide and tricks of advanced SEO. Search Engine Land covers the whole thing associated to search engine include SEO news, best practices and other supportive resources to boost your site traffic and You must follow this SEO blogs to get a deep knowledge of all things about SEO like expert analysis, advice and tactics and appropriate guide. Ahrefs is a top SEO tool that assists you to boost your Google search traffic, and ranking based in Singapore and offer crucial SEO blog tips, SEO tutorials, and opinion pieces from different business leaders. This SEO blog offer you more than you expect as it teaches you how to get better traffic opportunities and suggest best backlinks to get better your SEO. Backlinko is a most popular SEO blog run by Brian Dean that offer whole guide about best SEO tricks and tips about on page SEO, off page SEO techniques. Here you will get appropriate information about link building and white hat SEO techniques with screenshots. So if you want to get better SEO tricks and tips then follow the above blogs on a regular base and gain knowledge of best SEO practices and recommendations to make more efficient your SEO Blog strategy and Tips. The Inbound Marketing approach is based on the principle of bringing the customers to you. To do this, you need to boost your visibility with a qualified target. To achieve this, you know that it means producing content. However, if publishing on your business blog is effective, sharing a forum on a reference blog in your field is also very relevant. As well as welcoming an expert from your sector ... This practice is called "guest-blogging". To better understand this strategy and make you aware of its interest, we propose 5 reasons to put you to guest-blogging as part of your Inbound Marketing strategy! Guest-blogging translates into the writing of content by an external blogger. In general, he is a professional expert in his field of activity. You can be this expert and post on another blog, or host an important author. For the performance of your Inbound Marketing, we recommend that you choose the two solutions! Using this method, you can take advantage of the reputation of the guest editor or the blog you are publishing to attract a new audience. Obviously, this technique can only work if your guest-blogging is done with partners who work on your sector of activity. The goal is to reach your buyers persona, as always in Inbound Marketing. For example, if you have a brand of baby clothes, it is recommended to communicate on parent blogs, but also with media like Parents.fr. You can also target brands that are in another area dedicated to children: baby food brands, toys, diapers, nursery furniture, and so on. You are certain that the communities of these sites are similar to yours and will allow you to increase your visibility with potential customers. Now that you better understand the principle of guest-blogging, it is time to analyze the 5 benefits of this strategy on your Inbound Marketing. Have you ever noticed, on all the communication channels, that some companies are unavoidable? That their content is systematically retweeted or shared? That their name is on everyone's lips and that your contacts know them? Guest - blogging, through the publication of new and quality content on different blogs increases its exposure on social networks: you share the article, your community shares it in turn; the blog on which you published or the guest editor shares the article on its social networks, its subscribers do the same. A dynamic is set up, which allows your article to increase its visibility and, consequently, your company / brand to boost its reputation. Especially since these numerous publications on social networks generate conversations and exchanges in which you can participate. This helps to strengthen your reputation and your image as an expert. By regularly publishing content on blogs related to your industry, you reach your own audience, but also the communities federated around these blogs. As a result, you are expanding your own community. A new audience is discovering you. This one probably does not know you, but they judge your articles relevant and interesting, since these enlighten them on a need, an objective or a problematic that they meet. This new audience, aware of your value, is therefore more inclined to consult your website and browse your funnel conversion. In the end, it's your prospect base that grows up. Developing a consistent guest-blogging strategy allows you to position yourself as an expert on your theme. You can, very quickly, become THE essential reference of your sector of activity. Your reputation is, in fact, associated with your expertise, regardless of the communication channel on which you publish content. This practice is a major asset to develop your personal brand and assert your authority. It is also an efficient technique to convince mature prospects, at the end of the conversion tunnel, to find the most qualified company to meet their needs. By offering your services to a company that operates in the same industry as yours, you value its community. In addition, you take a little workload off their Content Marketing. This type of initiative allows you to establish selfless relationships with companies in your field. In the future, you can expect a reciprocal gesture from them. This reciprocity can mean posting articles on your blog, sharing one of your important content and even acquiring leads. This company, which has already collaborated with you and knows your seriousness, will be more likely to recommend you to its customers or partners in search of your services. Among the strategic axes of Inbound Marketing, you will find natural referencing. You know, this method allows you to position yourself on keywords to attract qualified Internet users to your website. Guest-blogging is one of the most effective methods to improve your SEO. This netlinking technique allows you to get back links to your website. However, they have a strong power of recommendation to Google. They prove your authority in the field, which encourages the search engine to put your site up in its results. In addition, by modifying your content to adapt to the blogs on which you publish as a guest-blogger, you can also use this opportunity to reference your website on new keywords. Are you looking for easy chocolate cake recipe? It might be difficult to choose an extraordinary chocolate cake recipe because there are several variations. Here’s a best delicious chocolate cake out of several variations to choose for the occasion. 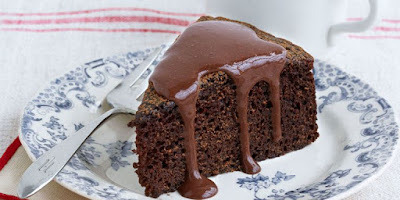 This is a rich and easy chocolate cake recipe. It just takes a few minutes to bake a cake and to prepare the batter. Icing with your favorite chocolate frosting. How to decorate the cake easily which adds more taste and look for a cake topping like sprinkles, dry nuts, fruits, cookie’s, Choco and more. 1. Sift the water-less ingredients like flour, sugar, salt, baking soda, and cocoa. Just place everything in a strainer and shake it back and forth over a bowl to eliminate bunches. 2. Stir in the liquid ingredients good. These are the vinegar, oil, vanilla, purified water, and egg. More people like to add these ingredients separately, but others are stirring them together in a container and before adding them to the dry ingredients. 3. Pour the mixture into an 8-inch greased and floured the curved pan. The grease and flour (powder of grinding cereal grains) will keep the mixture from sticking to the pan. 4. Bake at 350 °F (177 °C). (175 °C) for 30 minutes. 5. Let the cake cool for 5 min. 6. Spread over the chocolate cream and scatter with the Choco sprinkles. 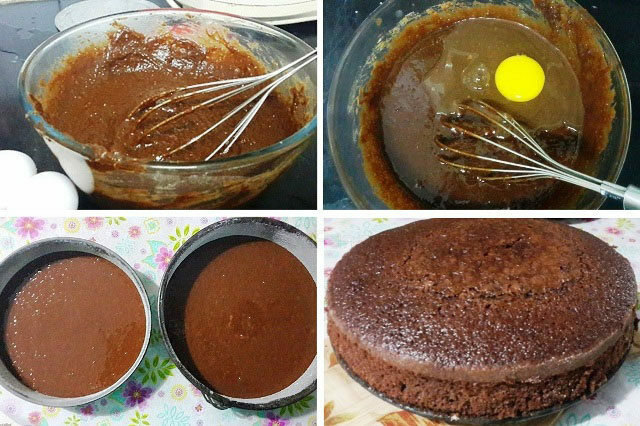 Finally, Delicious and easy chocolate cake recipe is ready to serve.